Every spring, many Christians from different denominations celebrate Lent Season, which is a time of prayer, fasting, and repentance forty six days before Easter excluding Sundays. During this time of season, dedication to prayer is of central importance. When we spend time alone with God in prayer; His spirit comforts us, directs us, and shapes our character. Prayer moves God to give us renewed ways of thinking so that we can be successful in making the best decisions for ourselves and for those whom He has entrusted into our care. Fasting is also essentially important and does not necessarily mean to give up food; but to give up anything that we often desire. Fasting reminds us that we can live without these things, it also reminds us of the significance of expressing empathy and compassionate towards those who are less fortunate in their overall well-being. Every spring, many Christians from different denominations celebrate Lent Season, which is a time of prayer, fasting, and repentance forty-six days before Easter excluding Sundays. During this time of the season, dedication to prayer is of central importance. When we spend time alone with God in prayer; His spirit comforts us, directs us, and shapes our character. Prayer moves God to give us renewed ways of thinking so that we can be successful in making the best decisions for ourselves and for those whom He has entrusted into our care. Fasting is also essentially important and does not necessarily mean to give up food, but to give up anything that we often desire. Fasting reminds us that we can live without these things, it also reminds us of the significance of expressing empathy and compassion towards those who are less fortunate in their overall well-being. 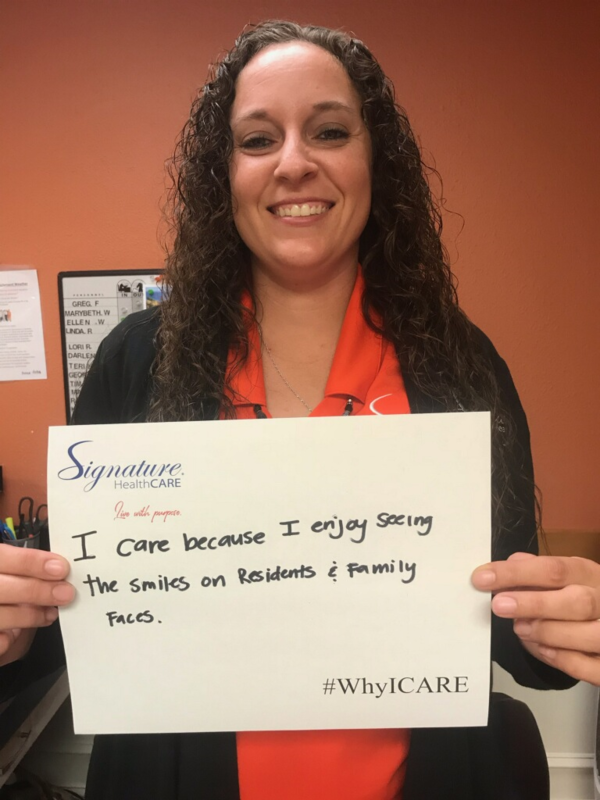 Our team here at Signature HealthCARE of Orange Park takes pride in caring for our residents. It’s not just a job to us but is rewarding and fulfilling opportunities to be able to make a difference in the lives of our residents. 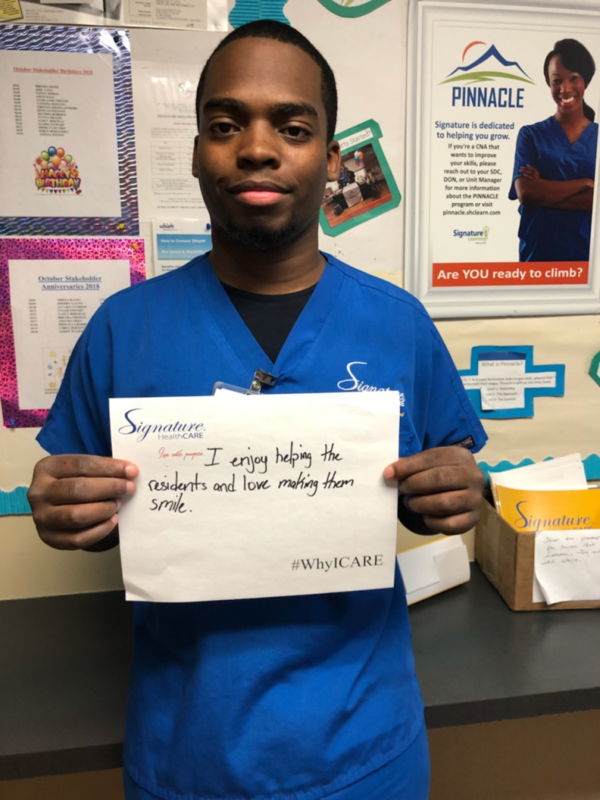 One of the great things about Signature HealthCARE of Orange Park is that we get the great opportunity of having local college students be a part of our facility during their clinical trainings. 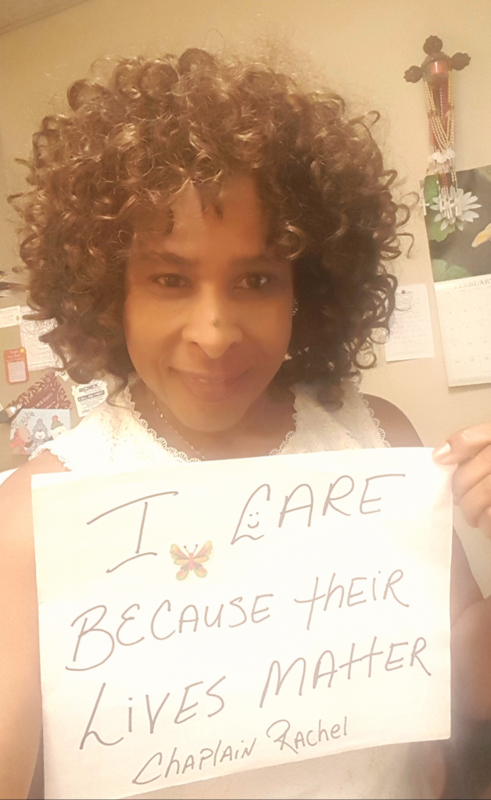 Not only are they appreciated by our residents and nursing team, but it affords me the privilege to share with them the value and role of a Chaplain in long-term care and rehabilitation facilities. 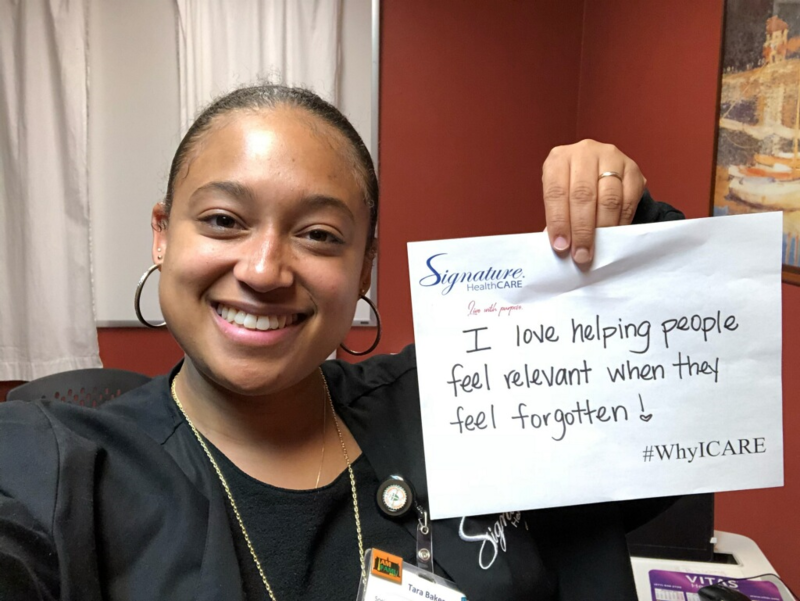 Sharing the importance of Signature’s HealthCARE’s Spirituality Pillar with the nursing students allows each of us to learn and bring awareness to how we can better enrich the lives of our residents. Sharing is caring!